Centred around Earls Court Road, Earls Court has become known for its grand white stucco-fronted terraces and red brick mansion blocks lined along traditional residential squares. Here you will find an array of up-market amenities, including lively bars and eateries, as well as good transport links taking you into central London. 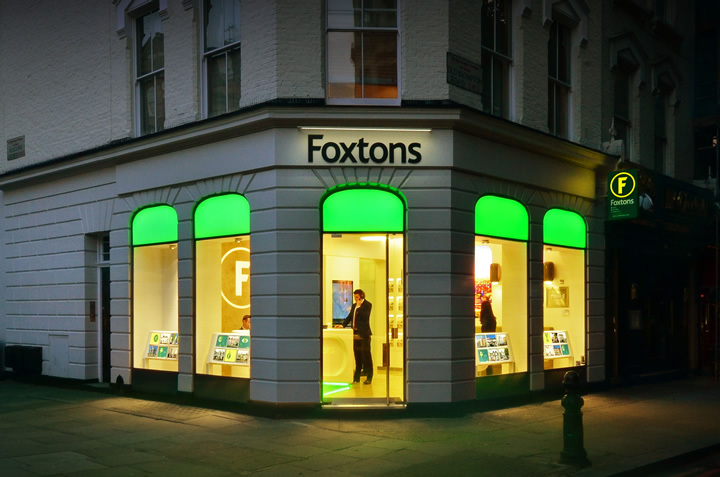 Foxtons are proud to be one of the leading estate agents in Earls Court offering properties for sale and to rent in Earls Court. I have worked closely with Sameer from Foxtons Earls Court on several rentals including one that was extremely tricky. Sameer was prompt in getting back to me with pro-active support and sound advice. His level of service is one of the main reasons I am using Foxtons to sell my property. During my time looking for a flat last year, the lettings agent that helped me (Olivia), was extremely attentive and professional, not to mention efficient, when finding potential flats for me. Due to her help, I was able to find, and secure a flat in a single day, which is the reason I recommended her to my friends who are in the same situation as me (travel frequently for work, not often home in London). Furthermore, when questions or issues have arisen, or I have needed help with regards to lettings related questions, Olivia has always been able to reply in a timely and pleasant manner. Thank you for all the help. Excellent-no reservations,. The Earls Court Team, especially Anne-Marie and Robert were very efficient, organised and professional. They made sure that the sale of our flat went smoothly and quickly. Christiane gave me an excellent service through the whole viewing process, helping me find my new flat. She listened VERY carefully to my priorities and after a day only, she had a handful spot-on places to show me, all meeting my somewhat "picky criteria". She was not pushy or sales eager, on the contrary she allowed me to carefully study and "breath" all the flats, making sure that I will find the right one for me. She showed good work ethics all the way through, so I simply must give my highest recommendations to anyone that are in need to rent a flat in the area. Very positive experience and most importantly, a spot on result. Thank you Christiane. In early Summer 2016 I was helped by one of the Foxtons' agent, Harry in Earls Court branch to view several places to rent. He was extremely polite, patient and expert in his job and I believe the Foxtons must be very proud of him. Vicky from Foxtons recently assisted me with the purchase of a flat. She was incredibly helpful, very efficient and worked hard to help keep the purchase on track which at times was challenging. Vicky has a very straightforward and honest approach which is refreshing as a client, and helps engender trust in the process. George was great. I received all the help I needed. Best service in years so far. Outstanding. George read my mind and offered me what I was expecting. I finally decided to wait purely because Brexit. George has a great education and he is extremely polite. Great in follow ups and always happy to support me and attend my calls. I would just say many thanks to Federica, she was really kind and helpful ! The best agent founded in London ! Alexis was excellent very professional and I was very pleased with his work. Sameer was fantastic throughout the whole process of finding me tenants and checking them in. Highly recommended! Arya has been fantastic and the only reason we keep using Foxtons in Earls Court. We hear he's leaving (Foxtons Earls Court and going to Foxtons Fulham Bishops Park) and are very disappointed as he's been brilliant as well as professional, helpful, well spoken, quick, honest and reliable. Can't you persuade him to stay! Tarquin has been excellent through the process of the sale - keeping me informed at all times and advising re spending a little money on the property rather than lowering the price. Tarquin was the most enthusiastic about the flat which to me was important as some of the other agents were indifferent and I felt it was just another one on the books for them. Tarquin gave very professional advice and attitude - clear and precise information - good communication skills and swift action - good at closing the deal - shared the selling with staff at two other Foxtons' offices. The staff involved were enthusiastic and committed. - didn't achieve the asking price, but the market was slow and we were glad to conclude the sale. Tarquin gave me excellent service and actually captured me as a client again after I had abandoned Foxtons as a seller. I highly commend him for his tenacity He inspires great confidence in his clients and delivers what he promises. I am extremely happy with his service. I shall certainly be doing business with him again. Ann Marie has been an excellent negotiator looking after and following through all the details of a very complicated sale. I have already instructed her to find a new property for me to purchase. We just wanted to express our gratitude for the great professional service rendered by Marcin. He has done a great job helping us to find a new home. I just wanted to drop you a line to praise one of your team members, Vicky. I have had the pleasure to collaborate with her for some time now as she is helping me in my flat search. Having been in this search for quite a while now and having met many professionals from different Real Estate agencies, I was keen to highlight the outstanding service that she has provided. She is sharp, driven, dynamic and persistent; she follows up and always has a smile and a positive attitude. Moreover, her property recommendations are spot on. It is an absolute pleasure to work with her in what can sometimes be an extremely frustrating experience! Foxtons Earls Court are a member of the key governing bodies, abiding by the strictest codes of practice. Why use Foxtons Earls Court? The Earls Court property market is competitive. Foxtons can give you an advantage.